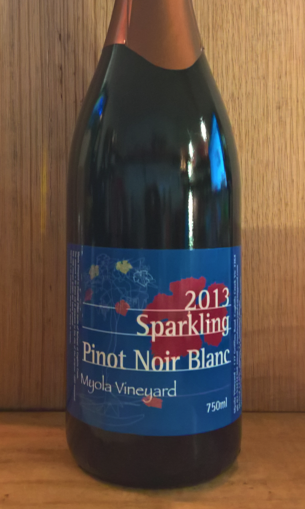 2013 Myola Vineyard Pinot Noir Sparkling Brut. Ballarat-VIC. Just down the road from Eastern Peake lies this small vineyard. Only Pinot Noir was used for this sparkling. There is a faint pink blush to the wine but it has been made as a dry aperitif style so no residual sweetness comes through. Very good value and very smashable.